Food allergy symptoms can occur within minutes or a couple of hours of eating or touching food you’re allergic to. Certain foods have become known for causing an allergic reaction – in children, foods that most commonly cause an allergic reaction include milk, eggs peanuts and fish. In adults, the most common food allergies are peanuts, fish, shellfish and fruits, such as apples and peaches. It’s still uncertain what causes food allergies, but it’s important to recognise the warning signs, for in severe cases anaphylaxis can happen, which is an allergic reaction which affects the whole body and can be life-threatening. 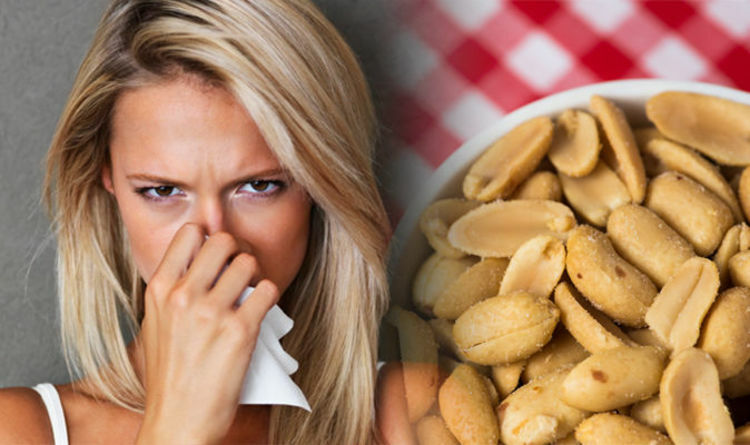 There are eight signs of a food allergy to watch out for, according to Bupa. But these symptoms can be caused by other conditions and illnesses, so you should see your GP if any symptoms concern you. If your doctor suspects a food allergy, you may be referred to an allergy clinic or centre for testing. The test which takes place will depend on the type of allergy you have – whether it’s an IgE-mediated food allergy or a non-IgE-mediated food allergy. An IgE-mediated food allergy is when symptoms develop quickly, for which you’ll be given a skin-prick test or a blood tests. A non-IgE-mediated food allergy is when symptoms develop more slowly, and you’ll likely be put on a food elimination diet. The NHS explains: “During a skin-prick test, drops of standardised extracts of foods are places on the arm. The skin is then pierced with a small lancet, which allows the allergen to come into contact with the cells of your immune system. “Occasionally, your doctor may perform the test using a sample of the food thought to cause a reaction. What is the food elimination diet? The health body says this involves the food thought to have caused the allergic reaction being withdrawn from the diet for two to six weeks. The food is then reintroduced. Natasha Ednan-Laperouse, 15, died after an allergic reaction to a Pret A Manger sandwich.